The environmental movement as we know it today developed in the 1960s and 70s, as awareness grew of the damage pollution could cause, and scientists began to recognise the growing pressure human populations and activities were exerting on natural resources. Influential publications such as Rachel Carson’s Silent Spring, and the Club of Rome’s 1972 report, The Limits to Growth, characterised these changes in thinking. 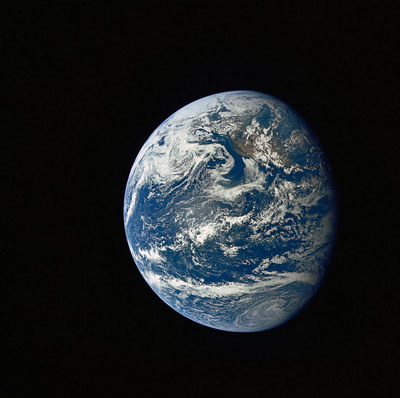 Some credit the photographing of Earth from space as a major factor in popularising concern over the planet’s limited resources and our own sustainability. It was in this context that the Institution of Environmental Sciences was founded during discussions at the Royal Society in 1971-2. As environmental concern grew, and environmental science became established as a discipline academically and professionally, there was concern that this community should speak with a unified voice. Over the following years, embedded in the development of the environmental movement as the Institution was, its mission evolved in parallel, such that the concept of ‘sustainable development’ is now core in our mission. The Institution’s aims state that it exists ‘To promote the role of environmental sciences and sustainable development in higher education, the workplace, the professions and society at large’. The Sustainable Development Goals (SDGs) are a new, universal set of goals, targets and indicators which UN members are expected to use to shape their policies and agendas to 2030. They follow and expand on the Millennium Development Goals (MDGs) which were agreed in 2001, and officially expire at the end of 2015. The SDGs were adopted by world leaders in September 2015. However, these are not just goals for political leaders, but for society as a whole, and for environmental professionals such as IES members, they should hold a special significance. Environmental science is inherently interdisciplinary, and those working in this sector know that to tackle environmental challenges from local to global, we need to adopt a holistic approach. Perhaps the adoption of these goals represents an articulation on the global political scale of this mission. Perhaps these goals could form the political framework for cooperation which is urgently needed. Understandably, some scepticism has also greeted the announcement of these new goals. Their predecessors, the Millennium Development Goals were not reached, and progress was notoriously uneven, leading many to brand them a failure. However, the UN 2015 MDGs Report does demonstrate significant progress towards each goal, and makes the point that although the goals may not have been met, action towards them has saved many lives. The Sustainable Development Goals share many of the same weaknesses as the MDGs, most notably that they are largely unenforceable. This agenda represents a shared vision, rather than a binding agreement with any teeth. When discussing the SDGs, there is also a tendency to think primarily in terms of national responsibilities, rather than tackling trans-boundary problems in a more international way. However, the SDGs do build on some of the criticisms of the MDGs, notably that they were too narrow and did not address the issues of development sufficiently holistically, did not address gender equality and failed to consider the root causes of poverty. The SDGs, which consist of 17 targets (there were 8 MDGs), accompanied by 169 targets, seek to address this. The SDGs have also been developed in a much more open and collaborative process than the MDGs, through the largest consultation programme in the UN’s history. Although some governments (including the UK!) argue that this is too many targets to be successfully implemented, they have been generally well received. In terms of measuring progress towards these targets, a comprehensive set of indicators are currently being developed, and are expected to be finalised in early 2016. Scientists will be interested to note that there is not a specific goal relating to science and research. This possibility was discussed during the drafting process, but it was ultimately decided that science and innovation should be embedded in progress towards each of the SDGs, so a specific target would be unhelpful. Environmental scientists should welcome this as a nod to interdisciplinary thinking; the Declaration on the SDGs also recognises how the 17 goals are inherently interlinked. Despite criticisms and inevitable debate around points of detail, the SDGs undoubtedly represent an ambitious vision behind which we should seek to align ourselves. As environmental scientists, this global declaration may lend greater volume and credibility to calls for action to tackle social and environmental problems. The SDGs also represent an opportunity for both research and applied scientists to forge collaborations beyond our own sector, and be more ambitious as we strive for trans-disciplinary solutions. Particularly as the UK government is currently offering limited leadership in this area - with no clear identification of where responsibility for sustainable development lies, and no clear champion for the SDGs emerging within government - it is important that the science community as a whole, and environmental scientists in particular, speak out in support of this agenda, and remember the values from which our disciplines have emerged. If you have an example of how your work contributes towards any of the SDGs, please get in touch. These goals cannot be met by politicians alone, and we are keen to showcase the work of IES members who are working for sustainable development.